Afterwards, we can go for a stroll in your neighborhood, maybe stop by your favorite bar, park, food truck, etc… Aside from simply documenting the environment that is most reflective of who you are, you’ll also be able to better relax into the moment and will probably be more chill in front of the camera. It also gives me a chance to get to know you better as individuals, which will come through in the final photos. 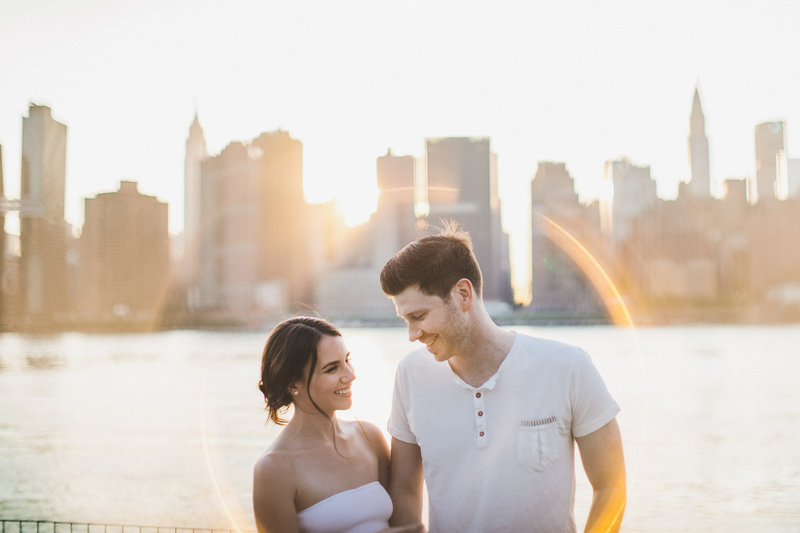 To get a better sense of how this can shape up, check out this recent portrait session with Caroline + Brendan in Long Island City with their adorable pooch Ralph!